Highland distillery Tomatin has replaced its 1988 vintage bottling with a new 30-year-old addition to the brand’s core range. The whisky has been finished in first-fill ex-Bourbon barrels and bottled at 46% abv. The expression is said to contain notes of ‘golden honey and smooth white chocolate’ on the nose, with ‘a fusion of tropical fruits’ on the palate and a ‘creamy’ finish. 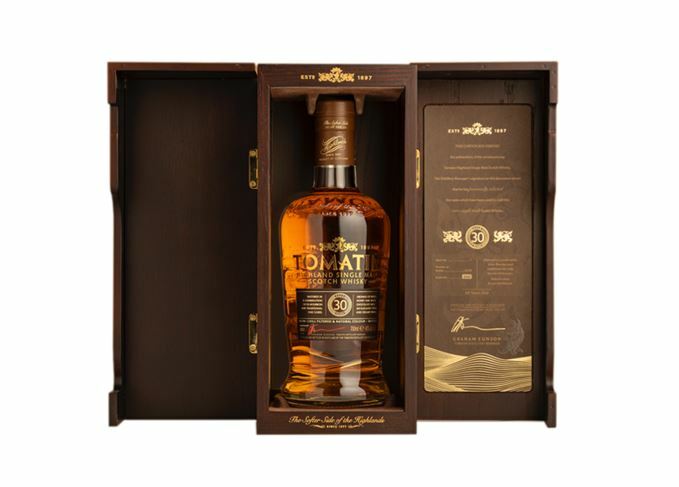 Tomatin has released an initial batch of only 3,000 bottles, with 450 of those bottles available in the UK. A further 600 bottles have been released in the US, while the remaining 1,950 bottles will be sold in other markets around the world. The whisky will be available from specialist retailers for £300 per 70cl bottle. Tomatin’s move from a vintage bottling to an age statement comes after Glenrothes revamped its entire core range, abandoning vintages because age statements were seen to be ‘indicative of a whisky with better taste and a higher quality’.